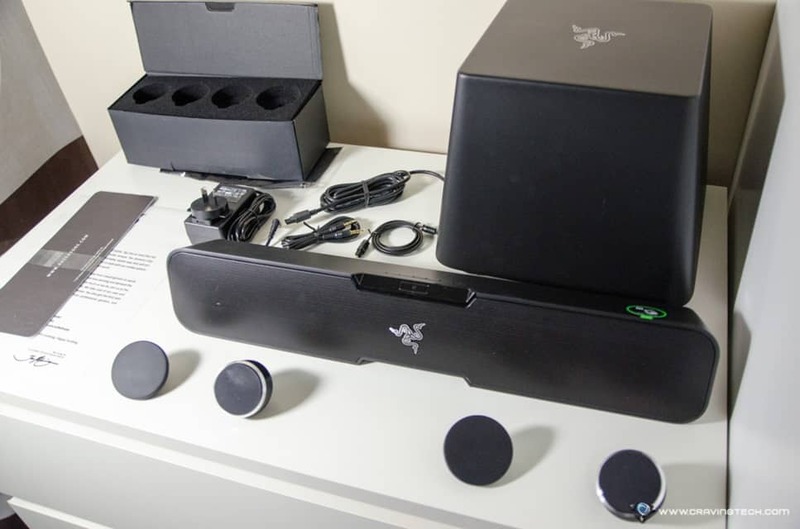 Razer Leviathan Review – The Razer Leviathan is a 5.1 Channel Surround Sound Bar that can fit in a living room set up or under a desktop monitor. As all things with Razer, the Leviathan is designed specifically for gamers in mind and I’ve been using it for my daily PC gaming with joy so far. 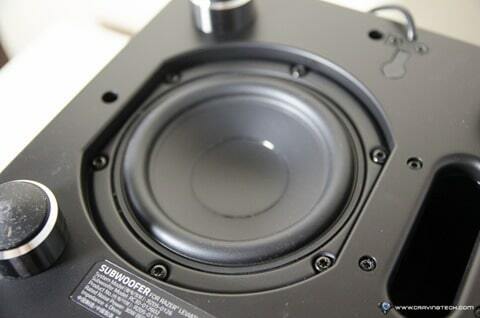 It has now replaced my desktop speakers, thanks to its compact design and for the impressive sound quality. With a rather compact design for a sound bar, the Leviathan can still output strong, deep Bass, and rather loud volume without falling apart. Different pairs of feet are included to optimally adjust the angles of the sound bar for different set ups (i.e desktop or living room). 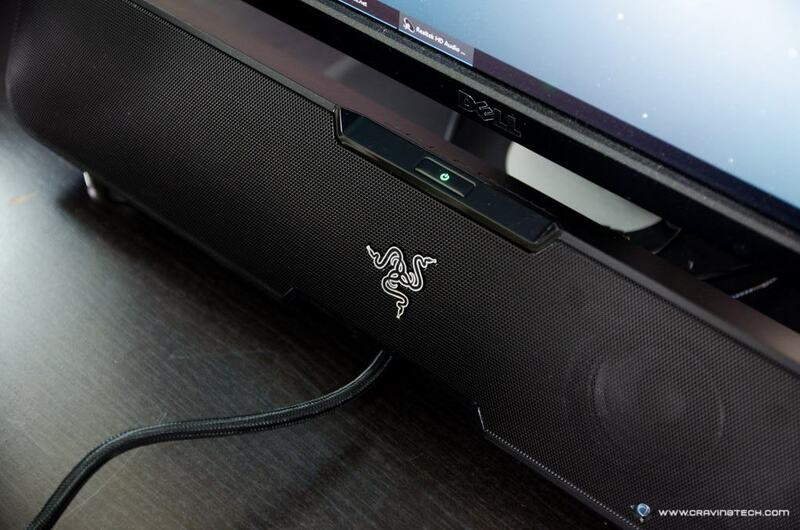 The Sound bar comes with 2x 2.5″ full range drivers and 2x 0.74″ tweeters, optimised for a virtual surround sound. 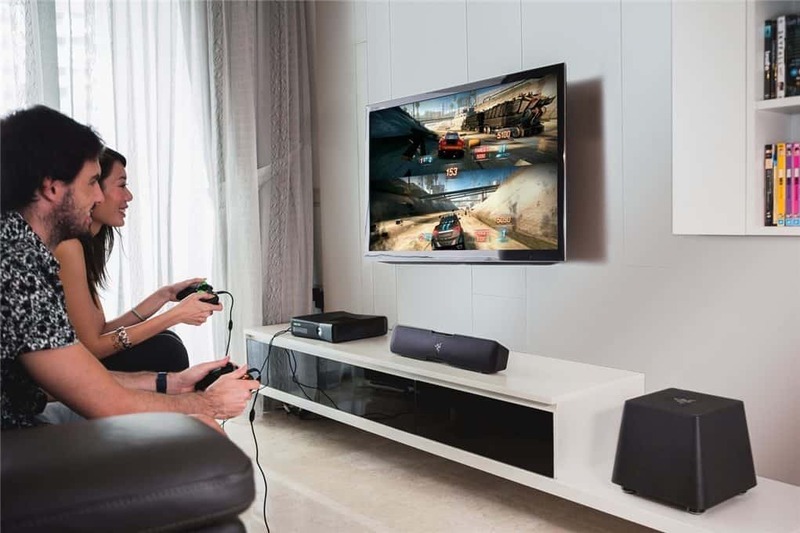 Powered by Dolby Technology (Dolby Virtual Speaker, Dolby® Digital (AC-3), and Dolby® Pro Logic® II), the Leviathan is not just an ordinary sound bar. It creates a believable 5.1 surround sound with just a single piece of unit. Now, don’t expect it to beat your 7.1 virtual surround sound headset which in my opinion, creates more believable 7.1 environment compared to a single unit sitting in front of you. 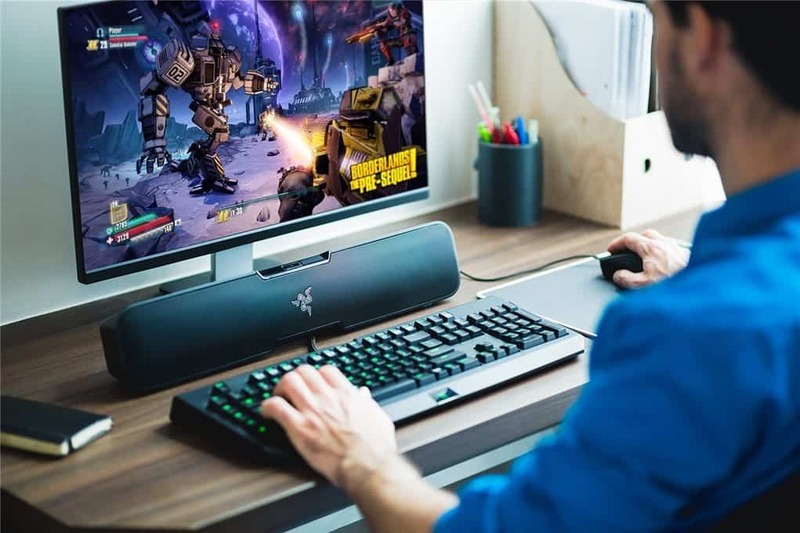 However, I did test Razer Leviathan with games that relies on audio positioning rather heavily like Left 4 Dead 2 and the recent Blizzard’s Overwatch. The results are quite surprising, actually. I was able to roughly pinpoint where the sound is coming from and reacts accordingly. It’s not perfect compared to having a real 5.1 speakers system, but the audio positioning is again, believable, and sounds coming from different directions can be felt throughout the sessions. 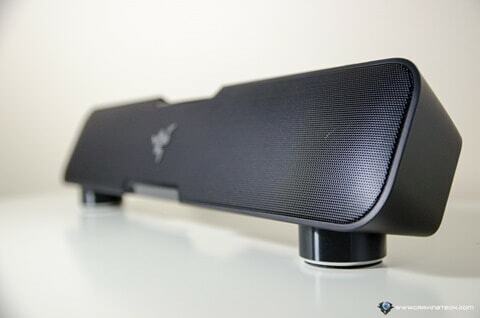 The Razer Leviathan Sound Bar comes with a dedicated 5.25″ downward-firing subwoofer that looks elegant, yet minimalist. It’s smaller than my old Logitech’s and actually looks good on desk if you want to place it there. Mine’s placed under the desk. The Bass is strong and if you crank it up to the maximum, it can get too overwhelming that I have to notch it down (you can adjust the Bass level through the Sound bar buttons). It has been a while since I’ve experienced a speaker system with dedicated subwoofer and the Leviathan certainly delivers a strong oomph. Speaking of customisations and adjustments, the buttons on the Sound bar can control most of the listening modes and settings. For example, there are different modes for gaming, music listening, and movie watching. 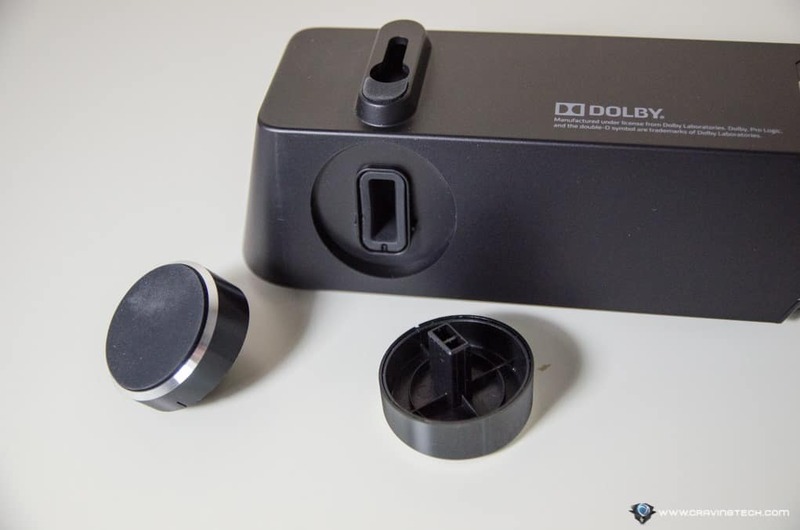 You can set the Bass on each mode and whether to turn the Dolby Surround on or off. In my opinion, however, it takes a bit of effort to switch between different modes due do the placement of the buttons. 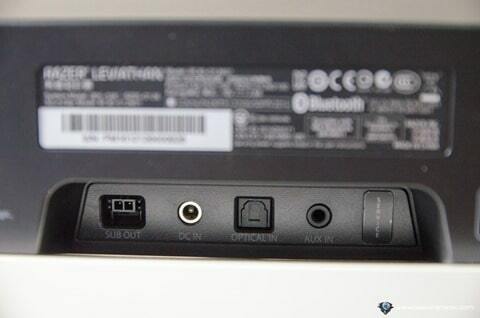 I have to tilt the sound bar slightly to be able to see and identify which buttons to press. The power button is clearly in view and you’ll find that you have to press this button a lot of times. This is because Razer Leviathan will auto turn itself off (go to standby mode, if you like) if it detects inactivity after around 15-20 minutes. Sure, turning it back on is not too much of a deal and it only takes just a few seconds, but there were times when I was wondering why I had no sound and forgot that the Leviathan was in sleep mode. A workaround involves scheduling an inaudible sound playing in the loop (at Razer Insider forum) to keep it awake but there is no official way to disable the auto-power-off mode on the Razer Leviathan. 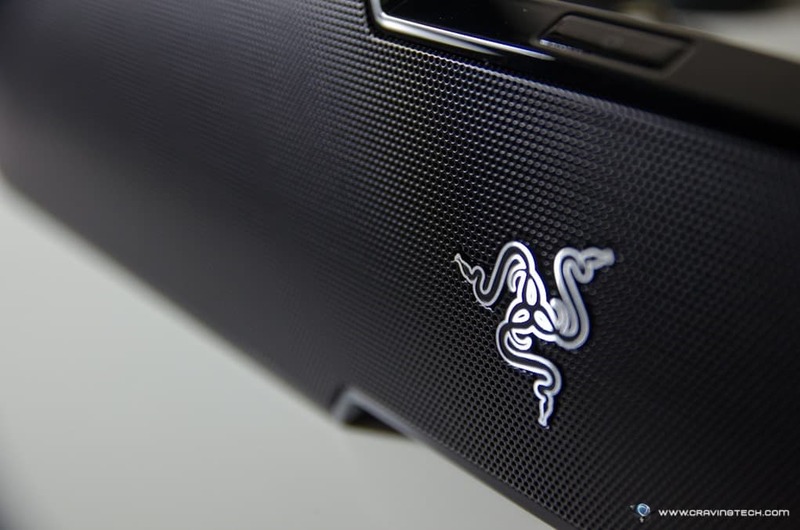 Razer Leviathan supports every inputs possible such as a 3.5mm audio jack, optical, Bluetooth, and NFC. 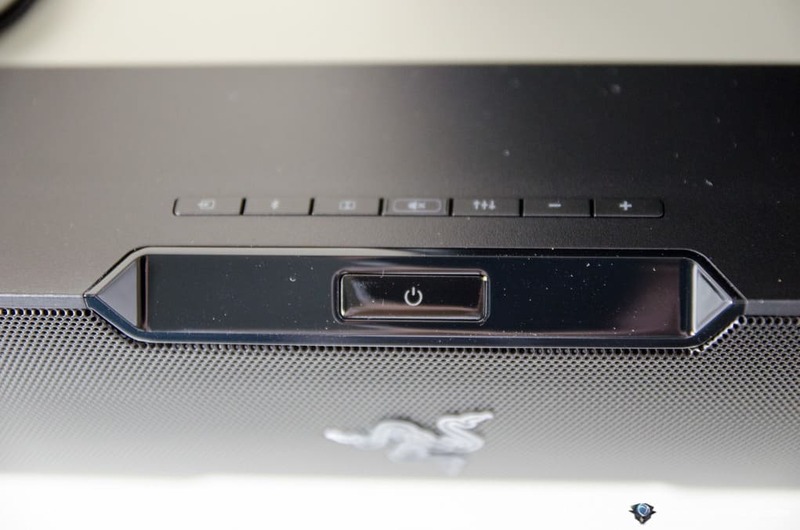 You can cycle through different inputs just by pressing a button, again on the sound bar itself. This way, you can hook your PC through the 3.5mm audio jack and a console such as my PS3 through optical, then switch instantly from one to the other. Lots of things to love here. 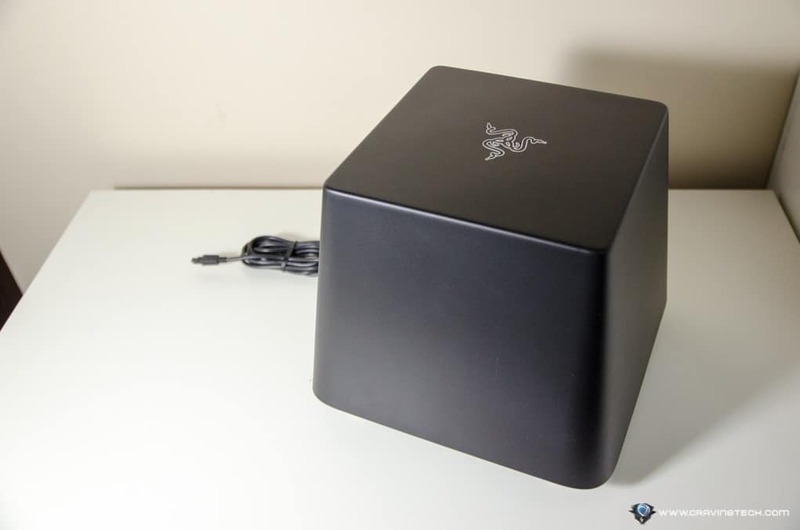 I love Razer Leviathan’s space saving design for my desktop where I can place it under my monitor. 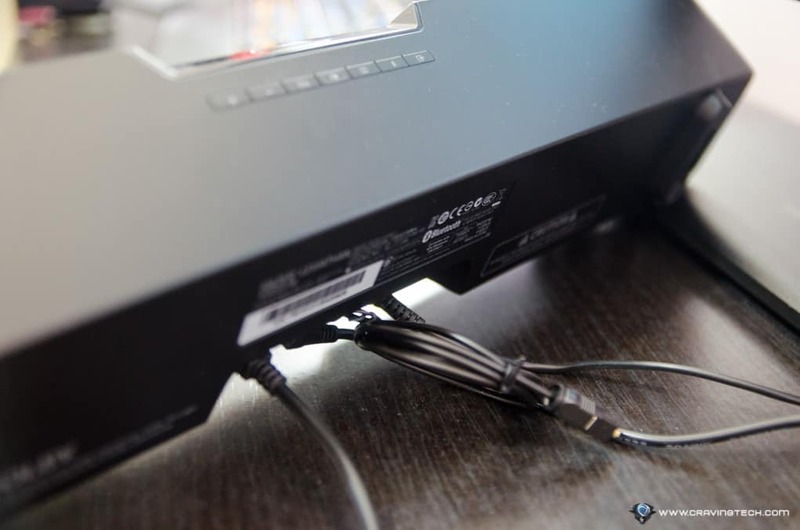 The sound bar also has a small gap underneath so I can pass my keyboard cable through. 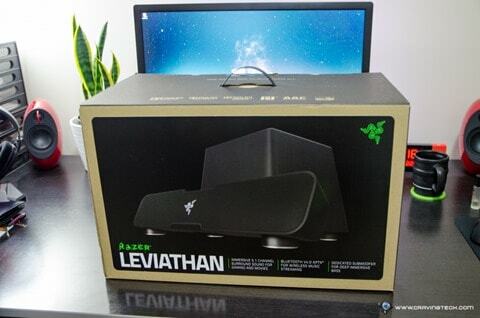 Thanks to the virtual surround sound support, I’m happy to ditch my Left and Right desktop speakers for the Leviathan. More space on the desk, and the surround sound is believable for gaming and movie watching. In addition, different input sources mean I can connect pretty much anything to it in one go, and simply switch between them as I need to. 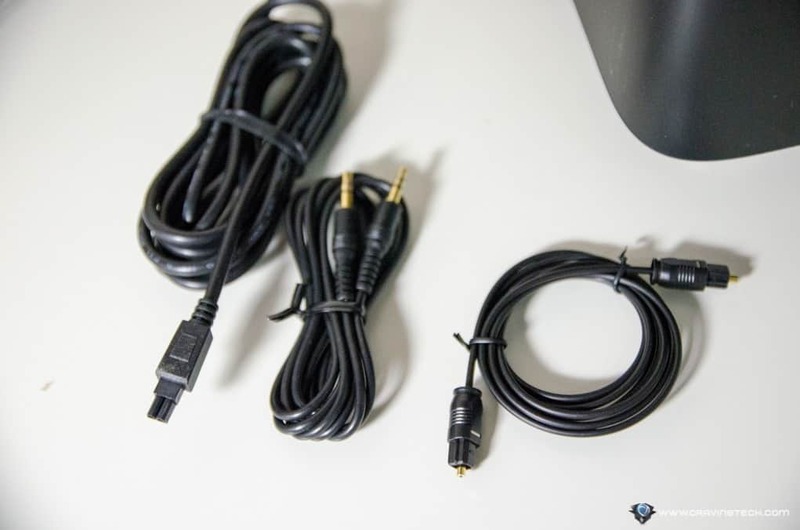 All cables are included in the packaging so you can start wiring them all up once and forget about them. Again, all cables are nicely tucked behind the sound bar (under the desktop monitor) so there is no mess seen on the desk. The sound output is also clear with strong, deep low frequency (Bass) – definitely a great all-around package for a sound bar.